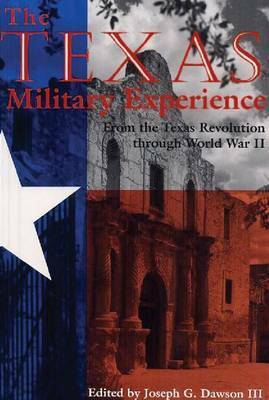 Ever since the Alamo, the military has been a vivid part of the Texas experience. In this classic work, thirteen scholars address the significance of that military experience. In "The Texas Military Experience", prominent authors reevaluate famous personalities, reassess noted battles and units, and bring fresh perspectives to such matters as the interplay of fiction, film, and historical understanding. JOSEPH G. DAWSON III is a professor of history at Texas A&M University. He served as director of Texas A&M s Military Studies Institute from 1986 to 2000.